Hello friends and welcome back to my blog. 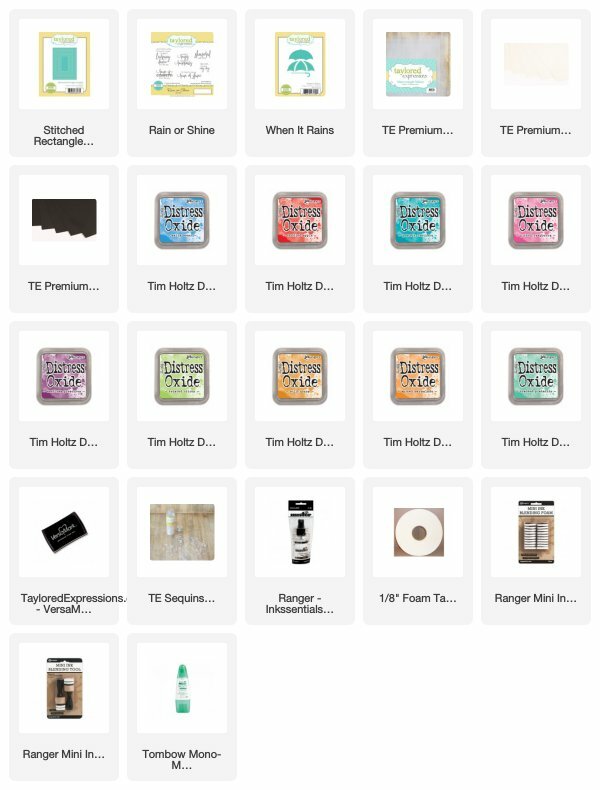 Today I have a card share using Taylored Expressions new When It Rains die. This was released earlier this month. This is one of the many cards I made for the release. I made extras so I can share the cards throughout the month. When it Rains die is an umbrella die. 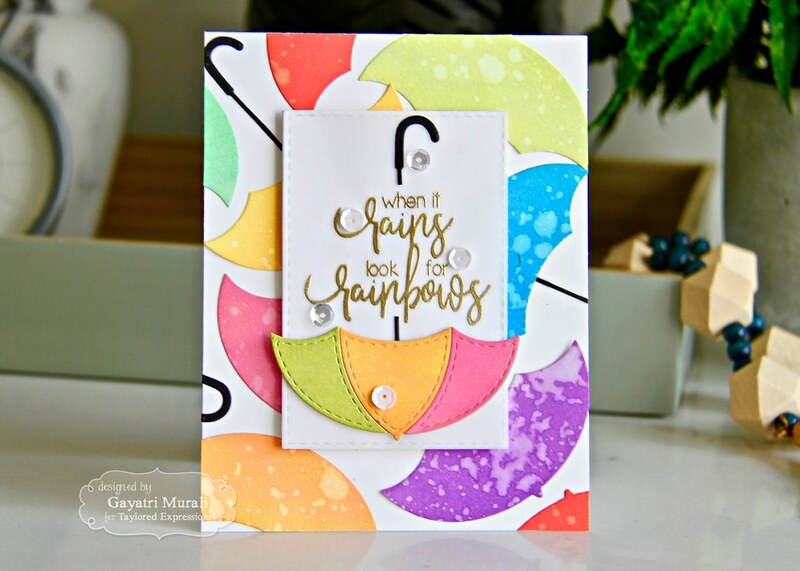 It also comes with three stitched detail layers which can be added on top of the base umbrella die for added details. I am showing you in this card, two versions the die can be used: with and without the stitched details. 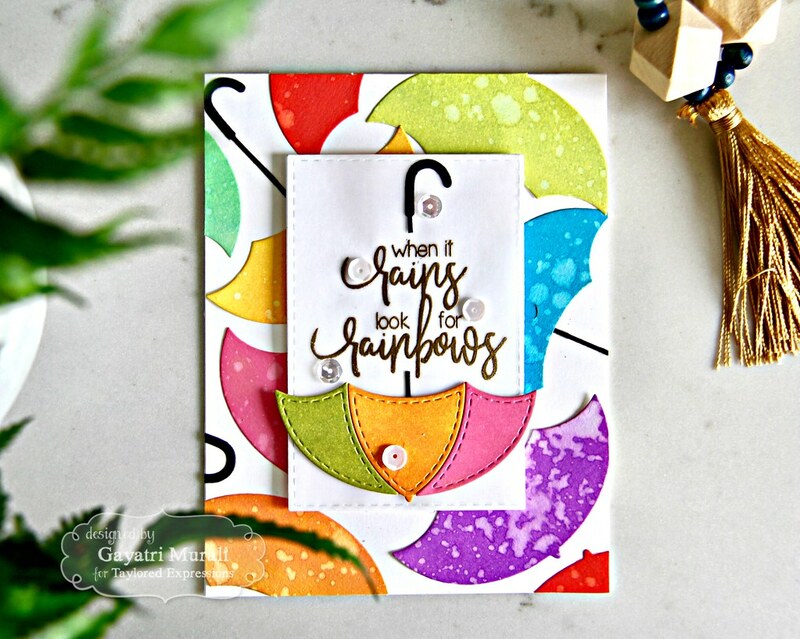 For the background, I inked up the base umbrella die cuts with distress oxide inks, spattered with water and the umbrella handles are die cut using Oreo cardstock. They are randomly adhered on the card front. 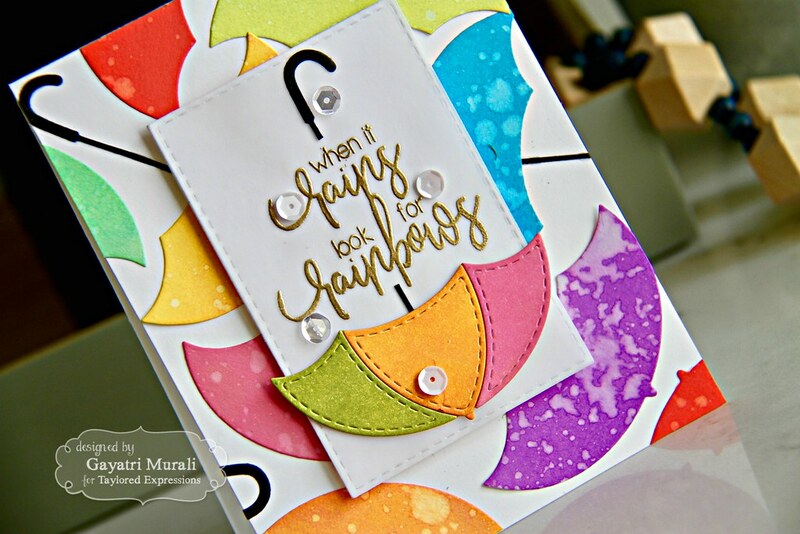 For the focal point, I gold heat embossed the sentiment from Rain or Shine stamp set on a stiched rectangle vellum panel. I adhered this panel on same sized stitched rectangle Sugar Cube panel so the sentiment pops up nicely. Then I made an umbrella using the stitched detail layer die cuts. I sponged the base layer using the Twisted Citron, Wild Honey and Picked Raspberry distress oxide inks and similarly the corresponding stitched layers. I stacked glue the stitched layering die cuts on the base die cut. I die cut the hand out of Oreo cardstock. I adhered the umbrella upside down at the bottom of the sentiment, cut the handle off where the sentiment starts and adhered the rest of the handle on top of the sentiment. Embellished the panel with TE sequins before adhering the panel to the card front using foam adhesives. Couple of closeups for you. 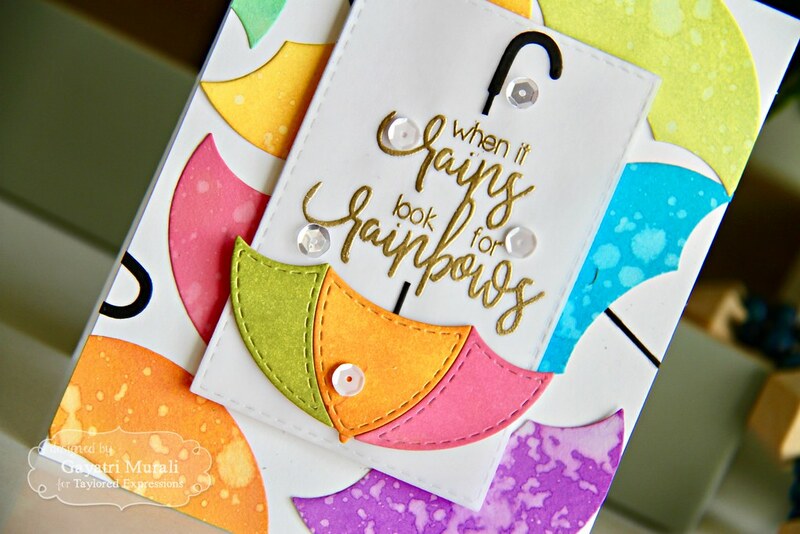 My thought process was to play with rainbow colours on the background to coordinate with the sentiment. The spatters add texture to the otherwise solid colours on the umbrellas. Hope you like it. All supplies used to make this card are linked below.